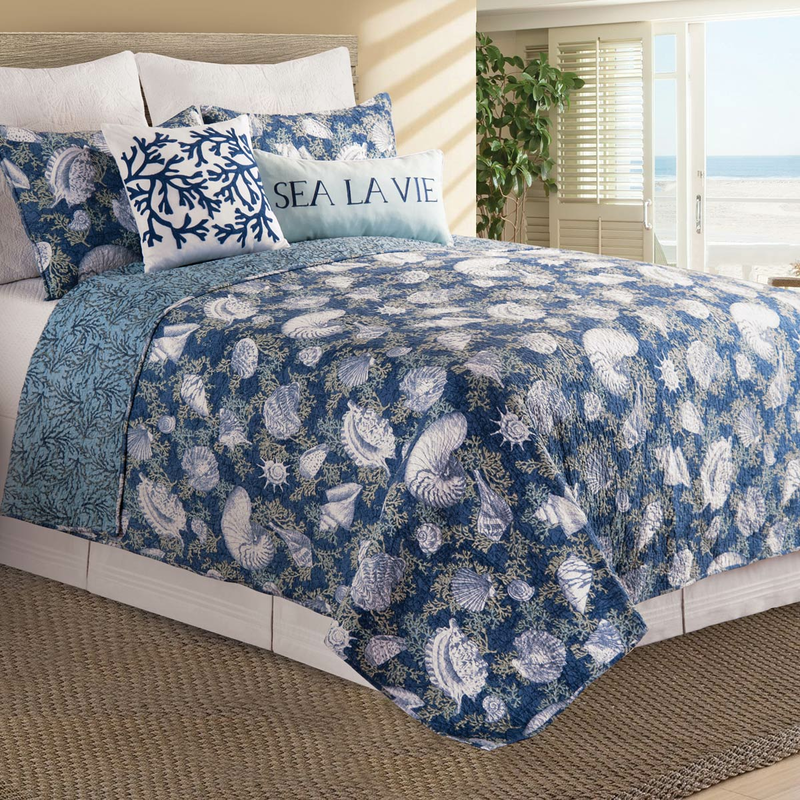 A Bella Coastal Decor Exclusive - Bring seaside style to your bedroom with the Deep Blue Sea Bed Set - Full/Queen. This bed set has an elegant shell and coral pattern on navy backed by an intricate coral design. Allow 1 to 2 weeks.